Written by the best-selling author of The Wiccan Handbook, Spells for the Solitary Witch is clear and easy to follow, Spells for the Solitary Witch explains how to prepare and cast spells 87 spells in all together with the materials needed for each spell and the incantations to say that will ensure the best results. Tailored to the needs of solitary witches, Holland suggests alternatives to hard-to-find ingredients, as well as directions about where to find specific ingredients crucial to a spells success. 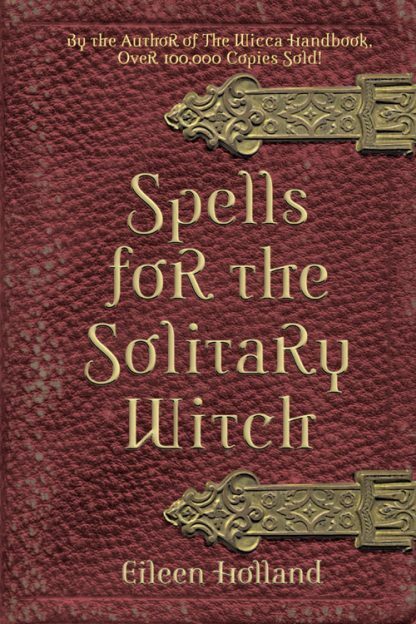 "Solitary Witches," writes Holland, "are those who practice the Craft without a coven or other group. Some Witches are solitary because of circumstances, but the rest of us are solitary by choice...we feel no need to join a formal group. We like our independence and prefer the freedom to do things our own way..."